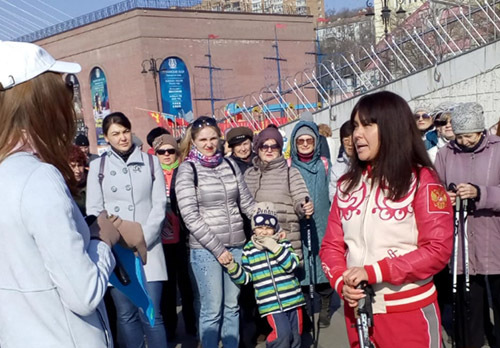 Vladivostok is preparing to start the all-russian Olympiad "Closer to the Far East"
About 500 schoolchildren from all over Russia took part in the same-name Olympiad last year. Today they are preparing for a new launch of a large-scale project. Meanwhile, the finalists of the Olympiad are already freshmen from leading Far Eastern universities. To pass the first stage, high school students needed to simultaneously mobilize all knowledge on the history, geography, biology, economics and culture of the Far Eastern region. Organizers of the Olympiad said, there is not too much information about the Far East in school and university. Therefore, participation in such a project will help high school students from the central part of Russia to learn more about the unexplored region, and Far Easterners to get to know their homeland better. Participation in the competition "Closer to the Far" can give to the students additional points to the exam. The maximum is seven points. The first stage of the Olympiad "Closer to the Far" starts at the 13th of December. All students need to pass three tours. The results will be announced in spring. 30.06.2017 Education in Primorye. Growth points. How Primorye’s school students pass the State exam?